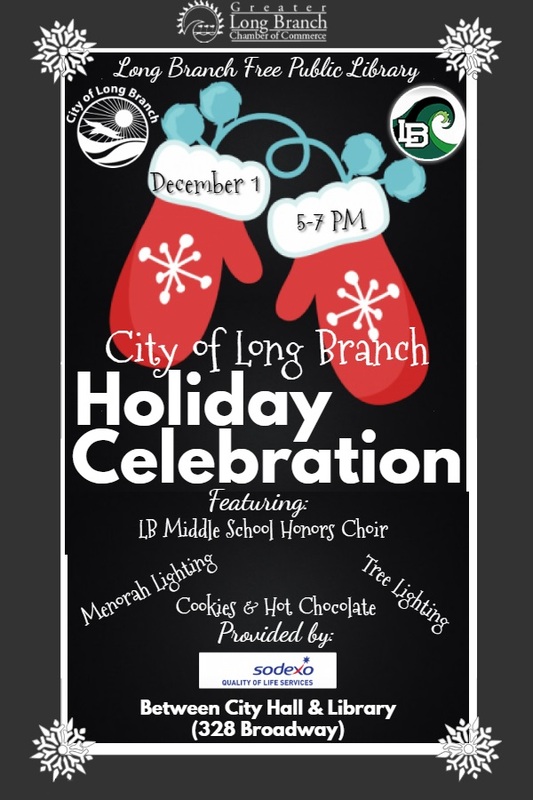 Join us for the 2018 City of Long Branch Holiday Celebration! Enjoy some Holiday Goodies (cookies & hot cocoa) while listening to the LB Middle School Honors Choir and watching the Tree & Menorah Lighting! Presented by the City of Long Branch, Greater Long Branch Chamber of Commerce, LB Free Public Library & LB Public Schools! All are welcome! Bring your holiday cheer!